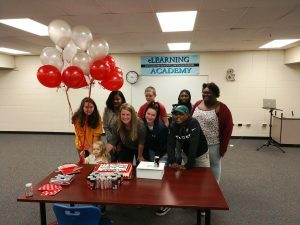 CHARLOTTE, N.C. (May 21, 2018) – On Monday, executives from Circle K and Coca-Cola surprised three Charlotte Mecklenburg School teachers with news that they are finalists in Circle K’s “A Driving Force for Education” contest. On May 24, the winning teacher will drive away with a 2018 Toyota Camry. 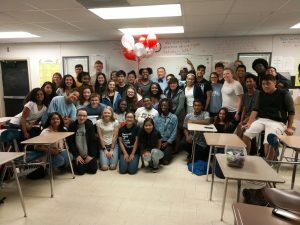 After more than 1000 nominations, only three teachers remain – Jeff Bronstad from Ardrey Kell High School, Laura Ruble from the E-Learning Academy and Gerald Statome from East Mecklenburg High School. On Thursday, May 24 at 8 p.m., Bronstad, Ruble and Statome will attend Circle K Speed Street presented by Coca-Cola in Romare Bearden Park in uptown Charlotte. The winning teacher will be announced on stage prior to Judah & the Lion and presented with keys to his/her 2018 Toyota Camry. The two remaining finalists will receive free Circle K gas for a year. In addition, Coca-Cola Consolidated is donating $500 gift cards to the twenty teachers who were chosen as finalists.